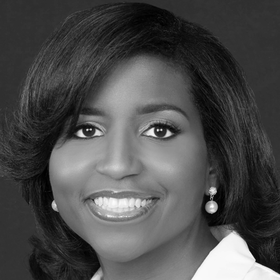 Dr. Nicole T. Rochester Founder and CEO of Your GPS Doc and former pediatric hospitalist Gambrills, Md. "I want to help doctors understand that an informed patient is your best patient, even if it adds an extra five or 10 minutes to the visit.'" Over the years I've been in many situations where adult relatives were hospitalized and I would visit and uncover medical errors or communication gaps. I was accustomed to having to intervene occasionally. But when I became a caregiver for my dad, everything was multiplied by 1,000. I was completely surprised and overwhelmed by the lack of communication between the doctors and my dad and our family members. There were all kinds of medical errors I caught. Often, the questions I asked about his care were ones the average layperson wouldn't even know to ask. It made me think about what most people deal with when they are hospitalized or caring for an elderly or sick family member. My father, John W. Twyman III, was a retired Washington, D.C., police officer in his late 60s when my sisters and I became caregivers for him in 2010. He had chronic medical problems including diabetes, high blood pressure, heart disease, end-stage renal disease and early dementia. Father's Day 2009: John W. Twyman III (center) is pictured with his four daughters. Dr. Nicole T. Rochester is to his immediate left. Initially, I just tried to be his daughter and support him. But as his memory declined, I saw my role as filling in the gaps in his history and telling his story. When I spoke up as his daughter and pointed out concerns, I would find I was often ignored, until I stated that I was a physician. Then, all of a sudden they would listen and things would happen. I couldn't imagine what happens to the millions of Americans who don't have a professional person in the family watching out for them. Each physician worked in a silo, focusing on whatever body part they handled. It was very difficult to coordinate his care. It was not common for the doctors to read the notes of other members of the team. I did that for my dad, keeping up with all the recommendations and making sure they weren't conflicting. That can be daunting. At one point he was on five or six different medications for blood pressure, and he had a lot of dizziness and was falling. We realized he was taking multiple medications that were duplicates with different names. His primary-care doctor should have been the one to keep track, but unfortunately these things often fell through the cracks. When my dad passed in February 2013, he was in a skilled-nursing facility recovering after a hospitalization. He had a cardiac arrest during dialysis. It's not clear what triggered that event. We really don't know if something happened during dialysis. I was so moved by my experience as my dad's caregiver that I left my practice as a pediatric hospitalist last year to launch a company to help patients and family caregivers navigate the healthcare system. I provide private patient advocacy services, including helping people find nursing home facilities, researching treatment options, and helping patients and families communicate with the healthcare team during hospitalizations. My ultimate goal is to teach patients and family caregivers how to be effective advocates for themselves and how to be active partners with their healthcare providers. Doctors are great and mean well, but the system doesn't allow the time for the type of rich communication that used to embody the doctor-patient relationship. They are completely overwhelmed jumping through all the hoops required to practice medicine. Sometimes an empowered patient can feel like a threat. I want to help doctors understand that an informed patient is your best patient, even if it adds an extra five or 10 minutes to the visit. My next phase will be speaking with healthcare providers. I'm trying to figure out the best way to get my message across in a way that will be well-received and won't alienate my colleagues. I've been approached by many doctors who've had similar experiences to mine in caring for aging parents or children with disabilities. Many of them said they experienced exactly what happened to me. I'm excited that there's finally a recognition that patients are a vital part of the healthcare team. Things are improving, but it's going to be a very slow process. At the ground level in doctors' offices and hospitals, it will take a long time for some of these ideas to become reality.